Matt grew up all around the country and the world as the son of a Navy pilot. For the last 23 years he has been a resident of Missouri. Matt received his undergraduate degree in Civil Engineering and his Juris Doctorate at University of Missouri in Columbia. Matt enjoys spending time with his wife and two children and volunteering at his church on the technical arts team at Woodcrest Chapel in Columbia, MO. 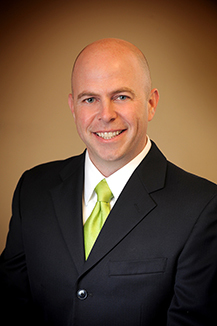 Matt is a former Administrative Law Judge with the Missouri Division of Workers’ Compensation. Additionally, he has served as the General Counsel to the Missouri Department of Labor and Industrial Relations. Matt is admitted to practice in all Missouri Courts, as well as the United States District Court in both the Eastern and Western Districts of Missouri. Matt is also a member of the Missouri Bar Workers’ Compensation Law Committee. He has extensive experience in Workers’ Compensation Law, and has attended docket settings all over the state of Missouri. Matt has been handling workers’ compensation claims since 1998 with approximately three years presiding over workers’ compensation cases as an Administrative Law Judge. Matt has appeared numerous times at the Missouri Court of Appeals as well as the Missouri Supreme Court and the 8th Circuit Court of Appeals.